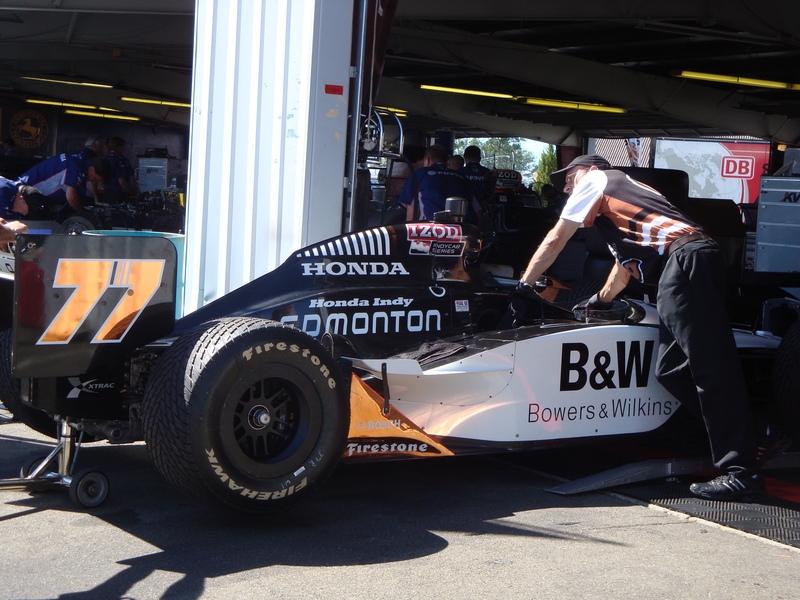 2011 HIGHLIGHTS: Tagliani scored three top fives in his second season driving the #77 Bowers & Wilkins car, this time for Sam Schmidt Motorsports. He also scored a surprising pole in Indianapolis 500 qualifying, as most of Schmidt’s cars were incredibly fast. 2011 LOWLIGHTS: Tagliani dropped through the field at Indy before hitting the wall on lap 148 and finishing 28th. Then, after scoring a season-best fourth place finish at Motegi, he was removed from the car at Kentucky in order to give Dan Wheldon a practice run before Las Vegas. SEASON OUTLOOK: Tagliani landed on his feet with Bryan Herta Autosport at Las Vegas after a season of team-driver tension at Sam Schmidt Motorsports, and managed to hit it off with the team there. The quick chemistry that the two ex-CART pilots developed led to a full-time ride with BHA in 2012, as the team attempts to run its first full-time IndyCar program. Tagliani’s experience and Herta’s determination to run his team the right way give them the potential to be the top Lotus program in 2012. But where that ranks them in the standings will depend on how well the late-developed Lotus engine stands against the Hondas and Chevrolets. If the Lotus underperforms, it doesn’t matter who’s running the show at BHA – this team won’t be in the top 15 at season’s end. 2011 HIGHLIGHTS: The main highlight of Kimball’s season was converting a fourth place finish in the 2010 Indy Lights championship to a contract with Chip Ganassi, after bringing a decent sponsorship contract from Novo Nordisk. Kimball’s best finish was a ninth place run at Loudon. 2011 LOWLIGHTS: Kimball had six DNFs, including crashes at St. Petersburg, the first Texas race, and Toronto, and running off course at the very end of the Motegi race. He only finished 19th in points, which is not what you’d expect from anybody driving for Chip Ganassi. SEASON OUTLOOK: Kimball is a long-term project for Chip Ganassi. Not only was the team new last season (one of the two Ganassi teams that operated in a satellite shop), Kimball was not experienced in cars as big as the Dallara IR07. That being said, Ganassi is more than willing to be patient, signing both Kimball and his sponsor to long-term deals. For now, though, Kimball’s most notable contribution to the sport will remain his pioneering as a diabetic racer whose car requires special extra gadgets to monitor his blood sugar. Kimball is an excellent brand ambassador, a trait that a big-budget team like Ganassi’s clearly reveres, and it’s not as if he didn’t earn his way into the series. 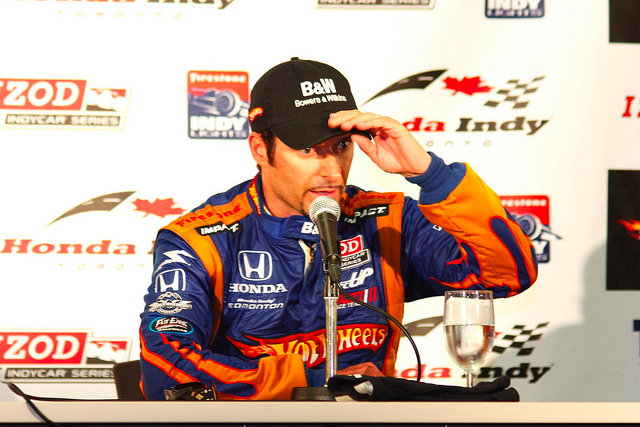 But with Scott Dixon, Dario Franchitti, and Graham Rahal also on the team, he’s the clear-cut number four driver. 2011 HIGHLIGHTS: Pagenaud competed in three IndyCar races in 2011, twice as an injury replacement at Dreyer & Reinbold Racing and once at HVM Racing when Simona de Silvestro could not make it to Infineon due to a customs issue. His best finish was eighth at Barber. Meanwhile, Pagenaud also finished second in the 24 Hours of Le Mans in a Peugeot that he shared with fellow French IndyCar driver Sebastien Bourdais. 2011 LOWLIGHTS: Pagenaud had planned to run the Indianapolis 500 for Highcroft Racing, running a blue No. 16 that hearkened back to some of the race’s earliest, French-born winners, but sponsorship failed to materialize. SEASON OUTLOOK: The 2006 Atlantic Series champion will compete full-time in major American open-wheel racing for the first time since he finished eighth in the 2007 Champ Car World Series. Pagenaud inherits the flagship car at Sam Schmidt Motorsports, which won the pole at Indianapolis with Alex Tagliani behind the wheel and scored plenty of solid road and street course finishes. That should bode well for Pagenaud, whose bread and butter has always been turning both ways. The 2010 American Le Mans Series champion has raced on most of the series’ road and street circuits, whether in ALMS, Champ Car, or IndyCar. Meanwhile, the ovals will mark a completely new challenge for the flying Frenchman. Much like Bourdais, his countryman, Le Mans teammate, and former Champ Car rival, his overall finishing position at the end of the season should be decent thanks to a road and street-heavy schedule, but his ability to adapt to ovals will determine whether this team can finish in the top 10 or lag somewhere between 11th and 20th. 2011 HIGHLIGHTS: Newgarden absolutely destroyed the Indy Lights Series, clinching the championship before the final event and winning the title by 94 points. Newgarden won five of 14 races and three poles to add his name to the long list of talented feeder series drivers employed by Sam Schmidt Motorsports. 2011 LOWLIGHTS: The lone disappointment of Newgarden’s season came at Long Beach, which saw him lead 31 of 43 laps but fail to finish the race. 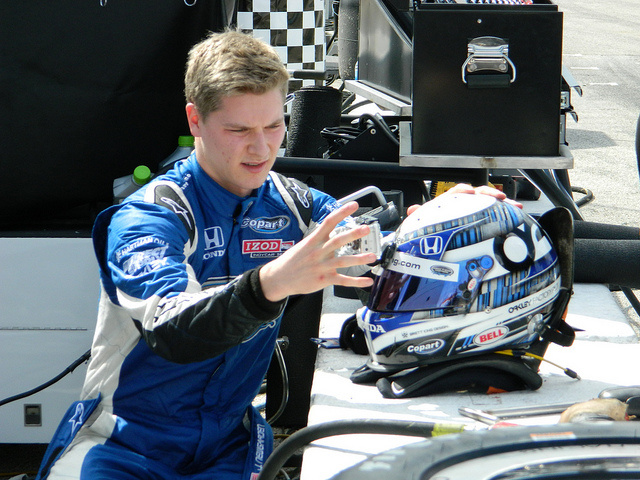 With only minutes remaining in the shortened event, driver error forced Newgarden to improperly negotiate a turn and hit a tire barrier. SEASON OUTLOOK: While Sam Schmidt had looked to promote his top Indy Lights driver to IndyCar for the 2012 season, Sarah Fisher will make Newgarden the first full-time driver in the history of her organization. Fisher’s team, which picked up its first win last season with the departed Ed Carpenter at Kentucky, will rely on the young American (and his $1 million scholarship for winning the Lights title) to make an even bigger dent in 2012. Fisher’s team is solidly growing, as oil magnate Wink Hartman has added extra financial support and his name to the single-car effort. SFHR also secured a Honda engine deal in late February, bringing the final piece of the puzzle together and helping the sport avoid the nasty public relations black eye that would have come with an engine shortage. The combination of Fisher, Hartman, and Honda bodes well for Newgarden, who won’t suffer the same uncertain fate of many recent Lights champions. He hasn’t landed with the biggest team in the paddock, but he’s with an outfit that will be happy to build around him for the long haul. 2011 HIGHLIGHTS: After a part-time 2009 season, Rahal joined a new Chip Ganassi Racing effort housed in Don Prudhomme’s old race shop. He scored three podium finishes, at Sao Paulo, Indianapolis, and Milwaukee, and finished ninth in points after ranking as high as fifth. 2011 LOWLIGHTS: The new Ganassi team started slow, and Rahal ranked 21st in points after the first three races. He suffered three DNFs, including a fuel pump failure in the second half of the Texas doubleheader and first-lap crashes at both Edmonton and Loudon. SEASON OUTLOOK: Despite operating out of a different shop from Ganassi’s top drivers, Rahal is entitled to all of the same information and will retain his key personnel for 2012. He’s part of Honda’s flagship team, something that can’t be emphasized enough, and a second year together should give the team an opportunity to get to the next level. That’s a step that Rahal absolutely has to take. He only led laps in two races all season and was, in the end, a consistently mid-pack driver who benefitted in the standings because so many other drivers had streaky years. We know from his time with Newman/Haas that he can win at the highest level, especially when turning both left and right, and there’s no shortage of money behind him. He just needs to put everything together. 2011 HIGHLIGHTS: Hunter-Reay took a controversial victory at Loudon after inheriting the lead from Dario Franchitti, holding it for 71 laps, and surviving the rain-marred restart that was eventually annulled. From Iowa to the end of the season, Hunter-Reay only finished outside of the top 10 once, making him one of the hottest drivers in the second half of the year. 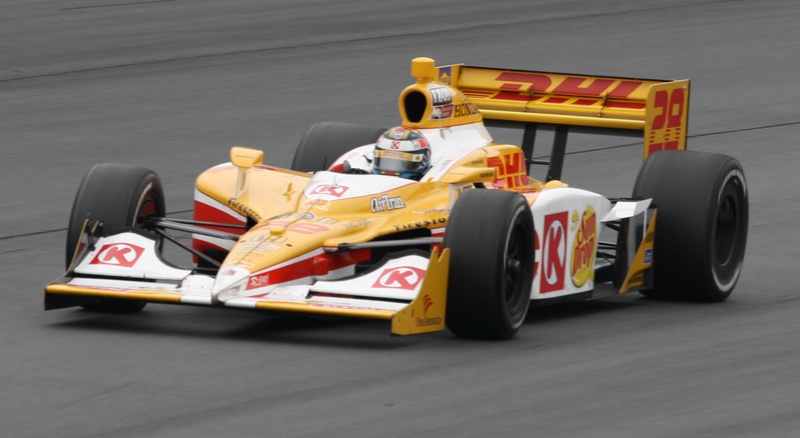 2011 LOWLIGHTS: For much of the early part of the season, Hunter-Reay and his team couldn’t get anything together. 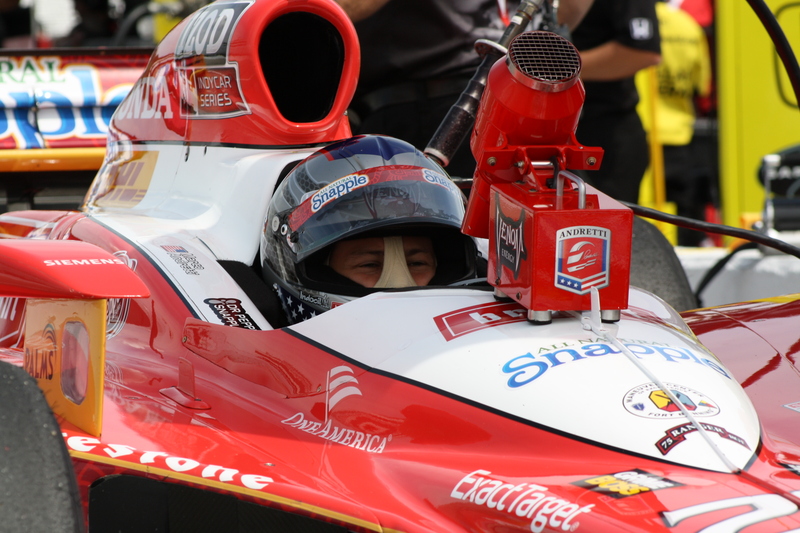 Rock bottom came at Indianapolis, when teammate Marco Andretti bumped him from the race in the last qualifying attempt of the month. Hunter-Reay then had to buy out Bruno Junqueira’s May-only ride with A.J. Foyt Enterprises to compete in the race and finish a dismal 23rd. SEASON OUTLOOK: Hunter-Reay initially struggled to adjust to a Tony Kanaan-less Andretti Autosport, but a strong second half of the year brought him back to seventh place in points. Now without Danica Patrick, Hunter-Reay and teammate Marco Andretti will be the undisputed leaders of the organization. One of Hunter-Reay’s biggest issues during his tough times last season was a lack of discipline, both on track and with the media; that will have to fade away in 2012, especially as his contract expires at the end of the season. But there’s a reason why Hunter-Reay is the only driver to ever win a race in CART, Champ Car, and IndyCar: he’s one of the top talents in the sport. He’s posted strong finishes at just about every track on the schedule, and as one of the top Chevrolet drivers not employed by Roger Penske, he represents one of the brand’s best hopes to score race victories in 2012. He might not crack the top five in points, but the top 10 is certainly attainable. 2011 HIGHLIGHTS: Hinchcliffe established himself as the most consistent young driver on the IndyCar circuit, finishing 12th in the standings and earning Rookie of the Year honors for Newman/Haas Racing. He scored a best finish of fourth place three times, at Long Beach, Loudon, and Kentucky. 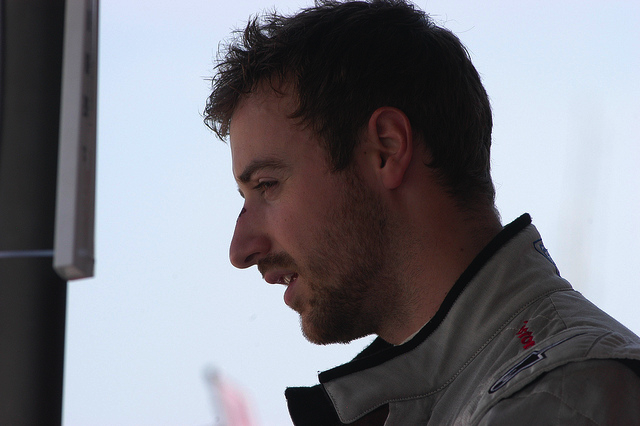 2011 LOWLIGHTS: Despite strong offseason tests, a preliminary lack of sponsorship kept Hinchcliffe from competing in the first round at St. Petersburg. 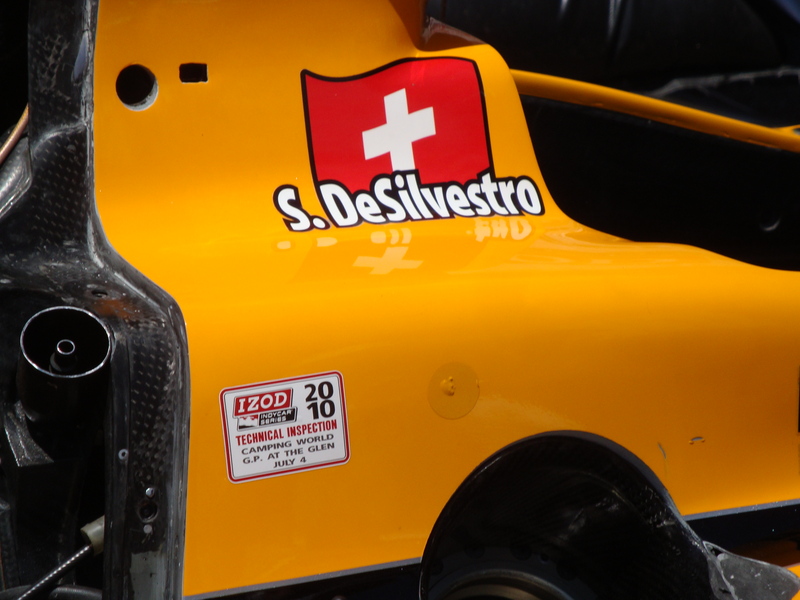 He also suffered three DNFs, including a lap 101 crash in his first Indianapolis 500. SEASON OUTLOOK: After paying his dues in American junior formulas for the past five years, the “Mayor of Hinchtown” finally broke into the sport’s highest level with one of its most prestigious teams in 2011. After Newman/Haas Racing shut down and left him without a ride, however, he managed to land on his feet with Andretti Autosport, taking over the GoDaddy.com ride vacated by Danica Patrick and the passing of Dan Wheldon. Andretti is a front of the pack team, and Hinchcliffe has as much potential as any young driver in IndyCar. He’ll be looked upon to provide solid and consistent finishes, as the team may have its strongest lineup since 2005, when it was still known as Andretti Green Racing. If Hinchcliffe can carve himself a niche with both the team and sponsor, this could be one of the enduring partnerships of the decade, much like Andretti once had with Tony Kanaan and 7-Eleven. 2011 HIGHLIGHTS: Andretti finally scored his second career win at Iowa after a drought that dated back to 2006, and posted a series of solid road course finishes that included a third place at Motegi. For the third consecutive year, he finished eighth in points. 2011 LOWLIGHTS: The entire Andretti Autosport team suffered a series of well-documented struggles at Indianapolis that saw Andretti bump out teammate Ryan Hunter-Reay to qualify for the race. He also suffered five DNFs, including three accidents. SEASON OUTLOOK: The main changes for Andretti’s team include a shift of primary sponsorship (Dr. Pepper-Snapple Group will choose to emphasize their Royal Crown Cola brand instead of previous backer Venom Energy) and a change of engines (Andretti will be one of the top Chevrolet teams). But within the Andretti Autosport organization, the no-longer-so-young driver will be looked to as a team leader, now that Tony Kanaan and Danica Patrick are no longer his teammates. This once seemed like a preposterous suggestion, as grandfather, mentor, and IndyCar legend Mario Andretti has questioned Marco’s desire in the past. But Andretti showed much greater maturity as a driver last season, and with Ryan Hunter-Reay will forge a new leadership path within the once-quarrelsome camp. Now he’ll get a chance to take a step to the next level. And if the Chevrolet engines prove better than the Honda or Lotus efforts, Andretti will be one of the top challengers for the championship.